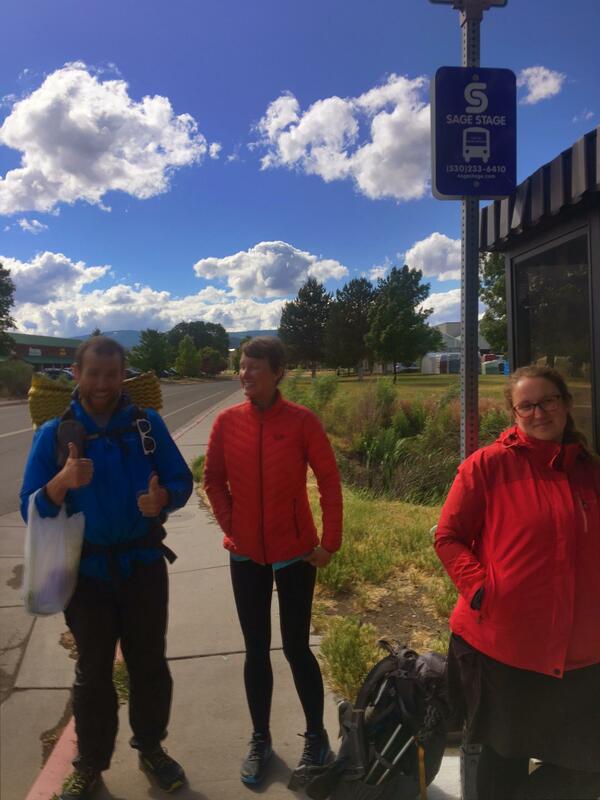 Today we covered 540 trail miles…via three different shuttles. It was a long day of travel (7am-7pm) but all went very smoothly, and frankly, it was shorter than my typical hiking day. 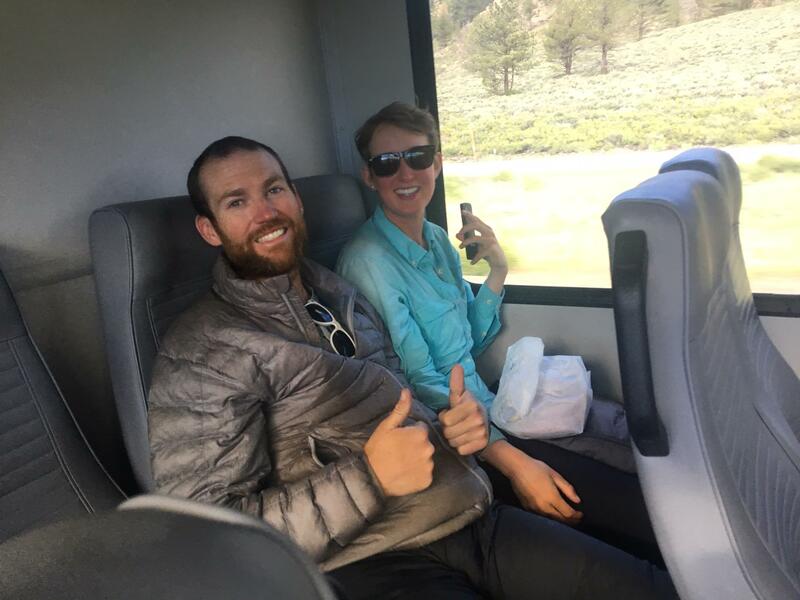 Here are Bronco and Loco on the shuttle to Reno. 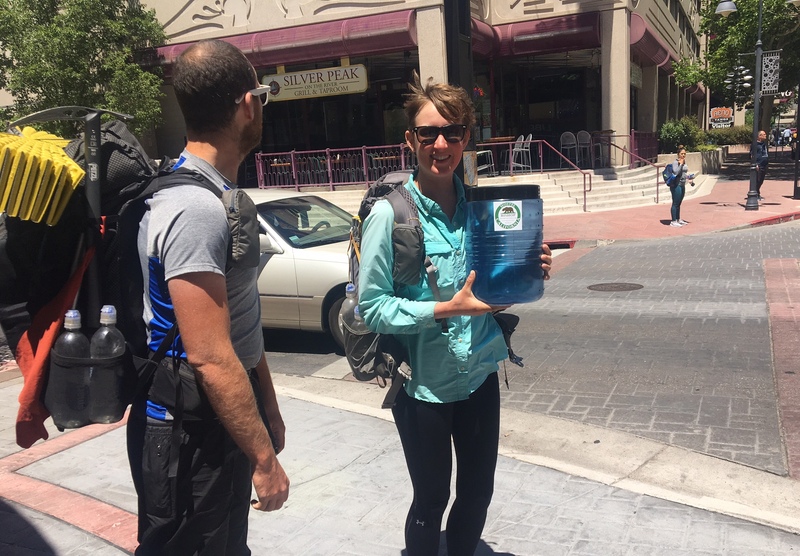 We met another hiker named Salty on the way who was happy to tag along. 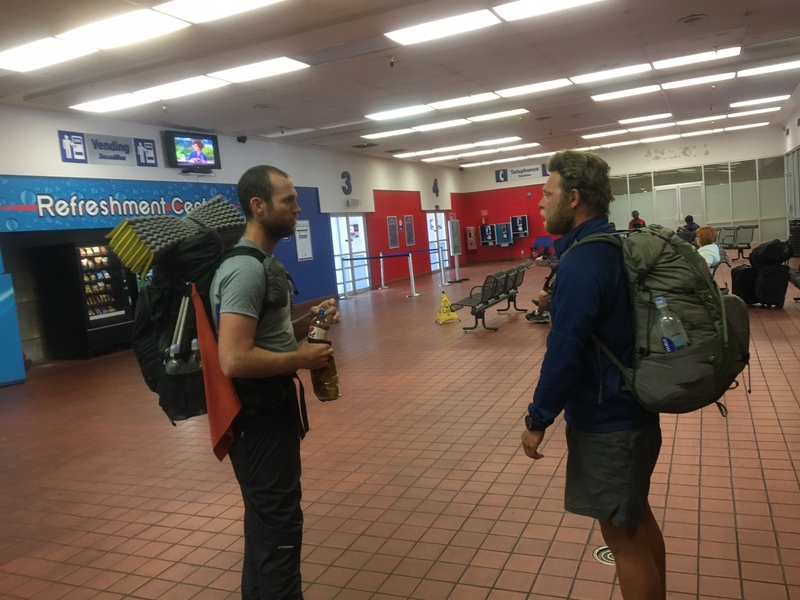 While waiting for our 2nd shuttle we had an hour+ to go to the post office so L/B could mail their bear canisters and ice axes ahead. 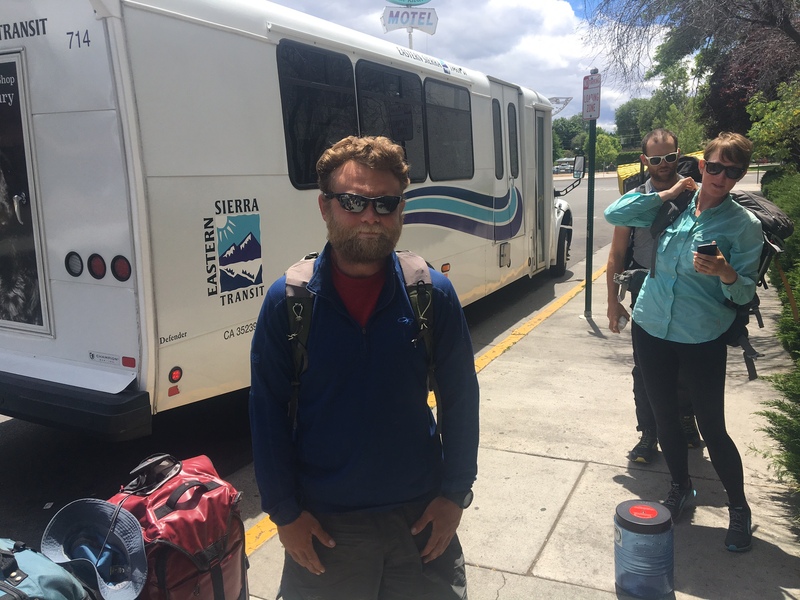 Chill in’ at the bus station in Reno! 75 minutes later we were in Chester, CA. 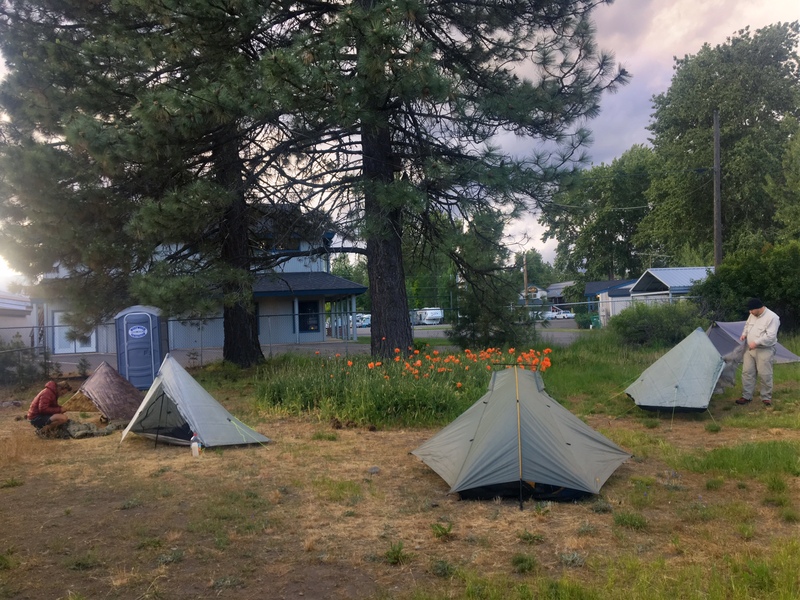 A friendly little trail town where the Lutheran church lets hikers camp in their yard. 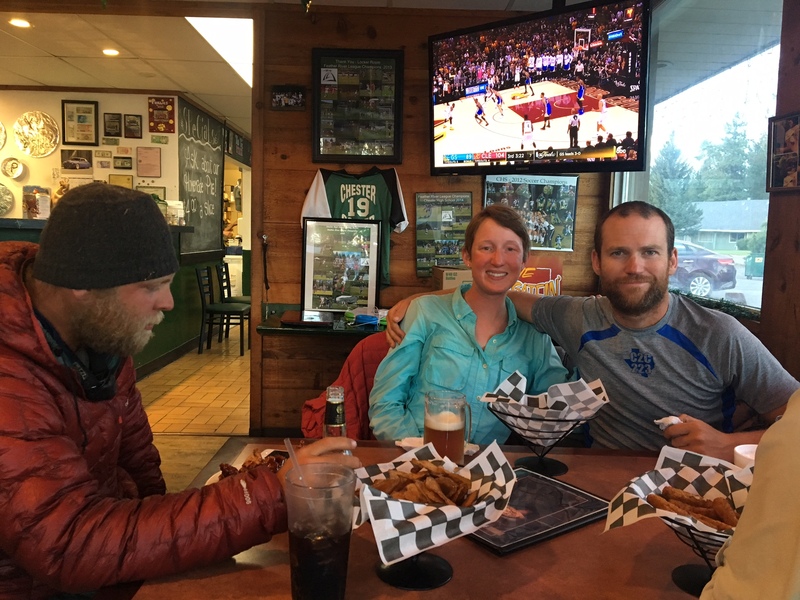 We walked across the street to a sports bar had some food/drink and watched the NBA Finals. Tomorrow AM we will have a short 8mi hitch to the trailhead and then hike about 20 miles to Lassen Volcanic Park. The landscape up here is quite different, so I will be sure to share some of those pics.